Our rates are going up at the first of the year but we’re honoring the current 2017 rates on 2018 Weddings and all future dates booked until then! We’re also actively accepting reservations for 2019 dates which have been quite brisk. We’re already sold out for August and only have two weekends currently available in September. If you haven’t called for an appointment to visit Hardy Farm this month, please give us a call. We’d love to meet you and have you take advantage of the current savings we’re offering. We look forward to hearing from you. If you haven’t seen the venue before, let us point out some of the great features that Hardy Farm has to offer! At Hardy Farm, we have the capabilities to offer weddings in each of Maine’s four distinct seasons. As you read above, our Spring and Summer weddings fill up fast due to Maine’s beauty. Have you ever witnessed Maine in the Fall or Winter? The White Mountains has beautiful foliage and snow-capped mountains to be the perfect backdrop for your wedding day. We have done some inspirational wedding photo shoots for you to see which season is perfect for your special day! Hardy Farm now is now pleased to offer your wedding party a complete Maine experience including our rural farm setting, a lake-front setting, a mountain setting, and a coastal setting! Lodging – Lodging at Shawnee Peak also includes lake access and use of their canoes as well as a fire pit and lawn games. Arrive as early as Thursday before your event and take advantage of “Thirsty Thursdays”, their cool seasonal pub and dining scene Thursday evenings from July 4th until Labor Day. Rehearsal Dinners – Choose from either a completely unique fully-catered summer mountaintop Rehearsal Dinner experience accessed via chairlift, or arrange your own catering at their cozy Sugar Haus, a historic Alpine barn located at the base of the trails. Mountaintop Ceremonies – Have you ever considered a spectacularly unusual venue for your ceremony with virtually unlimited views of area lakes and the White Mountains? Plan your ceremony at the top of the trails at Shawnee Peak’s Pleasant Mountain, an experience neither you nor your guests will never forget! 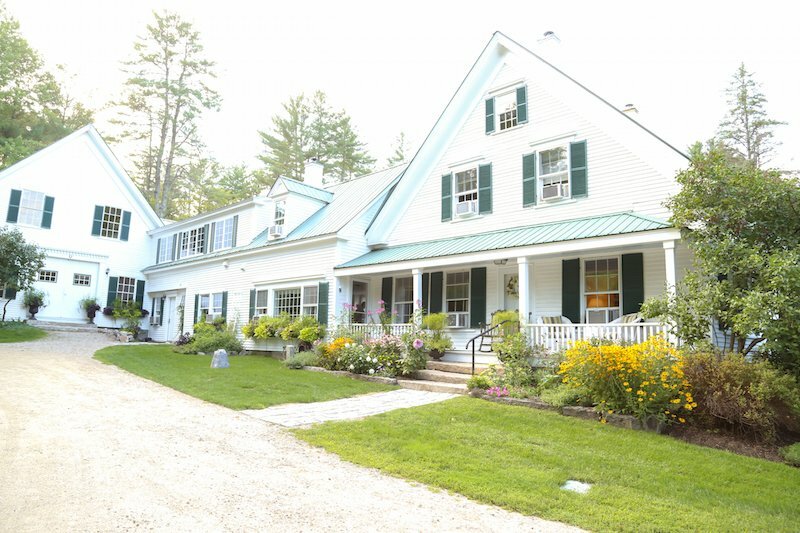 In this virtual tour of one of Maine’s Wedding Venues, you will be able to experience The Barn, The House, and The Lodge. Please contact us with any questions you may have or to inquire about a specific date. Fields marked with an * are required.